WE ARE A REGISTERED DISTRIBUTOR WITH THE STATE OF ARKANSAS. Rated 6th globally in 2017. Awarded as the fastest growing business by local SBA in 2018. 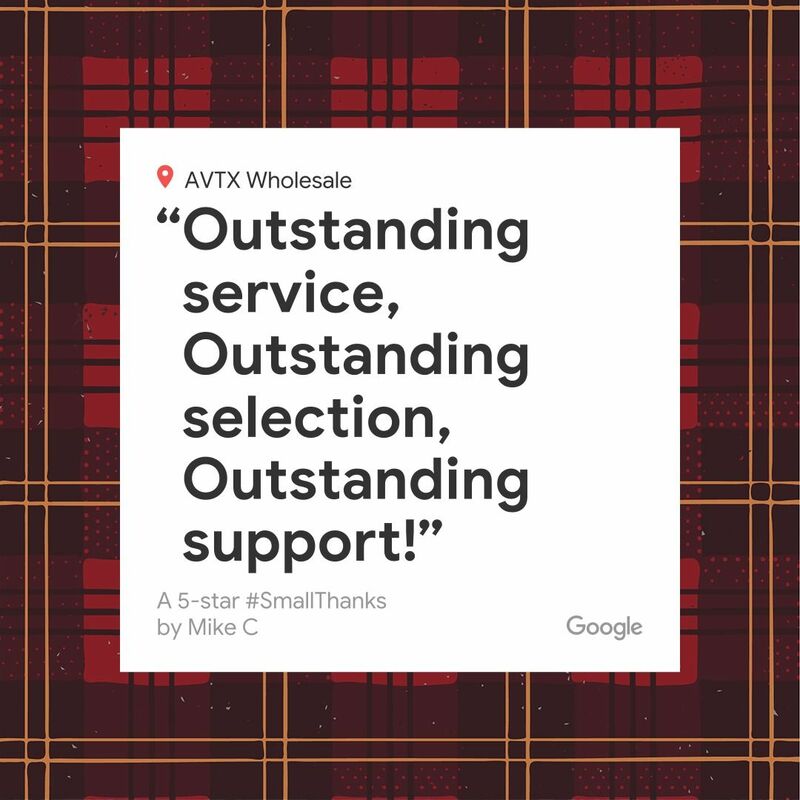 AVTX Wholesale is an authorized dealer of the latest and greatest brand name authentic products in the vaping Industry. No need to shop around 20 different locations. Our hardware, top shelf e-liquids, and accessories are specially handpicked to satisfy every shop owners need. We are a B2B only vape supply wholesaler based in Dallas, Texas, serving all over USA. We partnered with leading manufacturers so we can offer the best pricing for our Customers. Our warehouse is fully stocked and we are ready to ship. 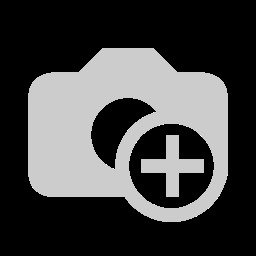 Contact us to create a free account and check out our enormous collections. Order online or over the phone. 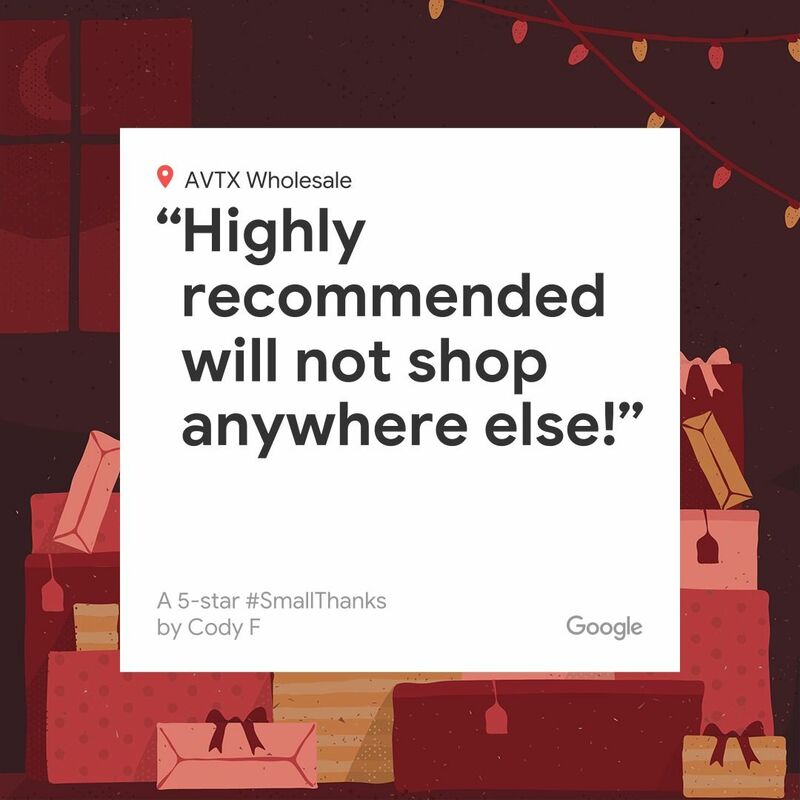 AVTX Wholesale is a Registered Distributor with the State of Arkansas. AVTX Wholesale is a registered wholesale distributor of tobacco products with the state of Arkansas as required by Arkansas tobacco laws. Tobacco Control Board of Arkansas issued the certificate on 09/10/2018. 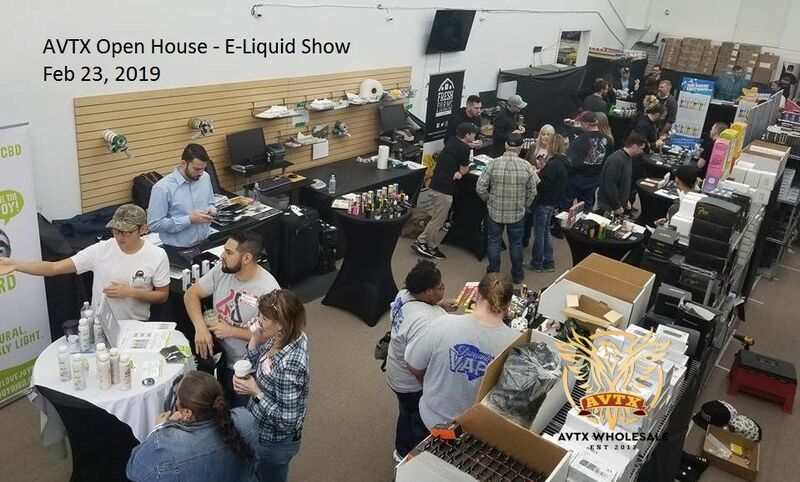 On February 23, 2019, AVTX Wholesale successfully hosted its very first Open House featuring 17 Industry leading E-Liquid Manufacturers - Coastal Clouds, The Milkman, Hi-Drip, Vape Szns, Smoozie, The Finest, Khali Vapor, Twist, SaltBae 50, Chubby Bubble, Fresh Farms, Pacha Mama, Rounds, Charlie's Chalk Dust, Joybird, Wet Liquids and Great Salt Vape. We are very excited and motivated by the participation of our friends and partners. Many many thanks to all the Manufacturers who came all the way to Texas. Excited to see our customers who managed to come from Oklahoma, Houston and Arkansas. Considering the overwhelming participation by our customers and a great success of this event, we are planning to organize another one this summer. This time it will be with hardware. Make sure you keep in touch with us. UPDATE YOUR CONTACT. CONNECT WITH US IN SOCIAL MEDIA.